These literary masterpieces are made easy and interesting. This series features classic tales retold with color illustrations to introduce literature to struggling readers. Each 64-page hardcover book retains key phrases and quotations from the original classics. Journey between London and Paris during that perilous time known as "The French Revolution." 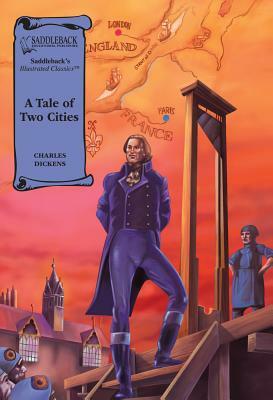 This is a story of two men that look alike- one in danger of being beheaded by the guillotine, and the other, a hero that sacrifices his own life for his friend. The French Revolution has been called "The Reign of Terror," and you will feel the terror in your own bones as you read.